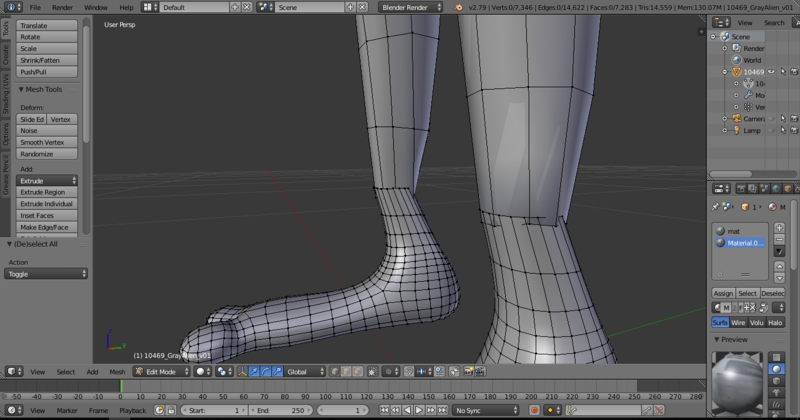 In your case you can delete a lot of useless edge loops on your foot, you'll have the amount of vertices that will allow you to make the joint with your leg. As long as you choose the good edges it won't affect the shape of your foot. 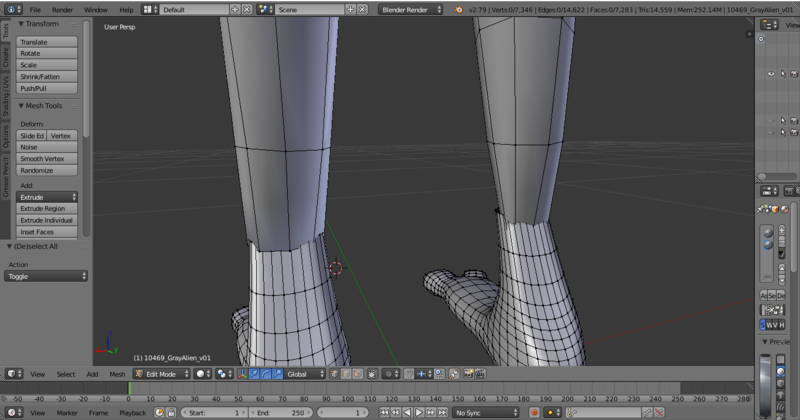 To do so you'll have to dissolve some edges, use the knife to create some edges between vertices, and at last merge the vertices of foot and leg. And don't forget to delete the face on the bottom of your leg. Not the answer you're looking for? Browse other questions tagged modeling editing edges sculpting or ask your own question. How can I add major geometry to a mesh in Sculpt mode? Is it bad to stretch/rotate your quads? Why I am unable to join separate meshes together? How to model parts of the face of this character? is it possible to replace face of a humanoid model with a plane face object?